This post is part of a four-part series. In Part 1, we will look at the mechanics of the Delta Airlines program. In Part 2, we’ll look at its award chart and rules to find valuable awards. In Part 3, we’ll value specific SkyMiles awards. In Part 4, I’ll put a number on one SkyMile. Delta Airlines SkyMiles are the most reviled currency among mile mavens. In a nod to Latin America’s currency woes, the nickname “SkyPesos” has stuck to describe how worthless and devalued most collectors find SkyMiles to be. Is it deserved or are SkyMiles more valuable than others suggest? And how can we exploit the SkyMiles program to maximize their value? 1. Delta has a region-to-region award chart. A region-to-region chart means that instead of having to calculate the number of miles for an award from your origin city to your destination city, say Atlanta to Rome, you merely figure out how many miles you need for an award from your origin region to your destination region, in this case U.S. 49 & Canada to Europe. There are several things to familiarize yourself with on the charts: The first is that after clicking on a zone, the definition of the zone is on the top of that zone’s chart. The second is that Delta SkyMiles cannot be used for first class on three-cabin planes, the ultra-premium international first class that makes up our aspirational award dreams. The third is that Delta has three tiers of award prices: low, medium, and high. Obviously we’re only interested in paying the low miles price. Theoretically even awards wholly within the US can have a stopover. This benefit is unique to Delta; no other US airline offers it although often availability is so bad as to preclude actually booking this. This image shows an LAX to Atlanta award with a stopover on the outbound in Minneapolis. Even with the stopover, the miles price is 25,000, which is the price for a domestic roundtrip with low level award space. 3. There are three levels of awards: low, medium, and high. Obviously we want to focus on finding awards at the low level price of miles, which are capacity controlled and have the least availability of the three types. If you are booking a multisegment award, all segments must have low availability for the award to price at the low level. Not all flights operated or marketed by theses partners are eligible for award travel with Delta miles. For example, you cannot fly mainland US – Hawaii on Hawaiian with Delta miles. 5. There is no booking fee for booking awards at delta.com. Unfortunately only a small fraction of Delta partners are bookable there. Even more unfortunately, delta.com is broken and often misprices awards, shows phantom space, or doesn’t show real space. Calling Delta at 800-323-2323 to book an award incurs a $25 fee that is waived for elites. 6. There are other fees associated with award tickets. A complete list is here.The fees are better than competitors. Delta charges the industry standard $150 to cancel an award and redeposit the miles if you don’t have Platinum or Diamond status. Delta also charges $150 to change the class of service of an award. But Delta’s fees aren’t all bad news. Delta does not charge a close in ticketing fee, which means if you book within 21 days of travel, taxes and fees are $75 less on Delta than on United, American, and US Air. Some of the preceding fees are reduced or eliminated if the member whose miles were used has Delta status; see the linked list for complete details. 7. Delta charges a huge surcharge for awards originating in Europe, so Stockholm to LAX roundtrip will cost about $400 more in taxes and fees than LAX to Stockhom roundtrip. 9. Like paid itineraries, award itineraries can be changed on the day of departure for $50. Read all about the restrictions here. I highlight this option because if there is an open seat on a direct flight, you can change your one or two stop itinerary to the direct itinerary for $50, possibly saving hours. Because Delta’s availability is so bad, it’s often necessary to book an award routing like TPA-ATL-LAX in order to pay the low miles price. But Delta has a direct TPA-LAX, so on the day of the flight, you can call Delta and change to the direct for $50, which is worth it to me to save several hours. 10. Awards can be booked one way in coach and one way in business for half the cost of a roundtrip in each. Example: I fly to Rome in business, but return in coach.. The miles cost is 80,000, halfway between 60,000 for coach and 100,000 for business. 11. Award reservations can be made 331 days in advance. 12. Availability is the bane of the Delta SkyMiles program. Domestic availability on some routes in nonexistent at the low level. For instance, I don’t see a single low level award seat in coach or first from LAX to Honolulu for the next 331 days! Another area where there is literally no availability is in “true” first class on three-cabin planes. Delta doesn’t have three-cabin planes, and it won’t let you use SkyMiles to book those cabins on its partners. How about fully flat beds in business class to Europe? Delta has beds on some planes, and Alitalia has them on their A330s. But Air Europa, KLM, and Air France only offer those weird angled seats, which are pretty uncomfortable for sleeping. Delta’s partnership with Virgin Australia offers good availability to Oz, but surcharges of several hundred dollars are charged on those redemptions. Where are the brights spots in Delta’s availability? Can you get the private offer of the SkyMiles credit card with 45k bonus miles? Find out in three steps. 1. Go to CARDMATCH and enter in your personal data. 2. Click on Exclusive Offers if the opportunity presents itself. After meeting the minimum spending requirement you’d have 50,000 Delta miles–enough for two roundtrips within the continental US. I probably wouldn’t apply for this card though if I wanted to use the miles that way though. SkyMiles are best for trips to Australia, Asia, Tahiti, Africa, and Europe. To get to any of these places, you’ll need a few more SkyMiles, which are easy to come by by way of 1:1 transfers from Membership Rewards. 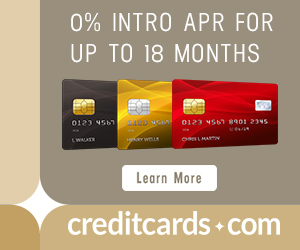 I would certainly apply for this card if I didn’t have a SkyMiles card already. While Delta miles are tougher to use than American, United, and US Airways miles, that doesn’t mean they should be ignored. 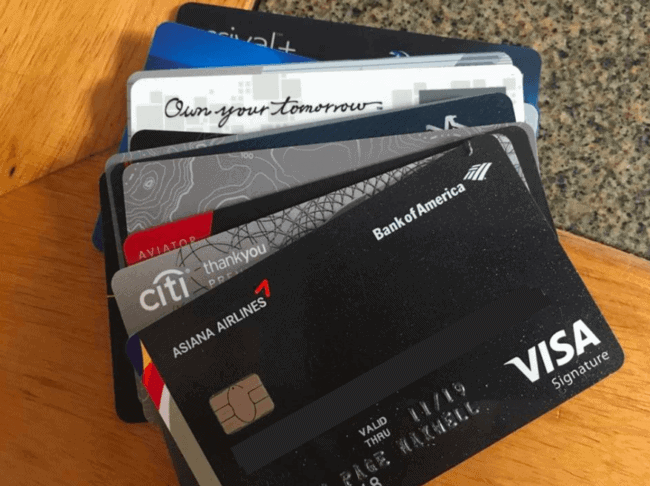 The SkyMiles personal card comes with 45,000 total bonus Delta miles–25k on first purchase and 20k more after $5,000 in purchases in the first six months. There is no annual fee the first year, then $95 thereafter. What are the chances CARDMATCH will offer you the SkyMiles offer? I’m not sure, and please report your data point in the comments. I didn’t get the increased offer (although I currently have a Delta SkyMiles card). My first friend didn’t get the offer. My second friend did. It only takes about twenty seconds to find out if you are targeted for the 45k SkyMiles offer, so you might as well find out. Where are the brights spots in Delta’s availability? I am really looking forward to part 2 as I do have over 80K in my DELTA account. Pressure! I’m scouring the chart as we speak. 8. No changes are allowed to an itinerary within 72 hours of travel except… ? Don’t use Delta Skymiles for hotel reservations that you might have to change! The value of purchasing 20,000 Skymiles is $700. Yet the value of using 20,000 Skymiles for a hotel equals $125! I learned this the hard way today when I had to make a change to a hotel reservation. I lost 20,000 back-breaking Skymiles in the process. What a rip-off! Kimberly, I used Delta Skymiles for hotel reservations nevertheless. My goal was to zero out my Delta account. (1) I hardly fly Delta. (2) I only had 10,000 to 40,000 Skymiles. They are from the occasional Kenya Airways flight or something. (3) They were insufficient Delta miles to redeem for any Delta product that otherwise has value to me. Either Delta does not fly where I want to go or they don’t have any award seats for a reasonable number of Skymiles where I want to go. For example, UA let me do SFO-LAS round-trip for 20,000 MileagePlus miles. DL wanted twice that many. Of course, UA status enables me to get upgrades and free bag check, while I have no DL status. The decision was easy not to use the Skymiles in that case. The option to book hotels and cars with the miles thus became useful for me. I even opened a Delta Gold Skymiles credit card, but not even activate the card, specifically so that I could empty that Skymiles account. The $250 for 40k Skymiles is always better than nothing. I hate Delta sky mile program and it is big scam. I have 164000 miles and my wife has 121000 miles. We both want to book a ticket for JFK to India and back. We couldn’t book the ticket since we still have to pay around $1000 per ticket after using the sky miles. The representative told me that the avg ticket requires 160000 sky miles to start the economic ticket. I hate it I hate it….please think before you decide to use this card. I rather use any cash back card. 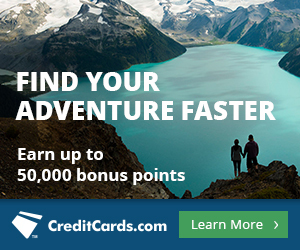 Here’s a better idea: get the American Airlines Executive Citi card with a 100,000 mile bonus and $200 credit after spending 10K in the first 3 months! Plus club access to American and US Air clubs, free bags, quicker bag check and security line, and 10,000 EQM miles after spending 40K in a year. And American’s miles are actually WORTH SOMETHING! My girlfriend and I are flying to Europe this summer on miles and the fees and taxes are pretty minimal.